Have your summer vacation ideas gotten stale? From amusement parks to sandy beach resorts, you might feel as if your family has done it all. But have you milked a cow together? Or hooted for owls in the dead of night? If you strive to create family time together that is both relaxing and enriching, one of these four offbeat vacation ideas may fit the bill. Learn a new skill that you can share as a family, commune together with nature or get to know a new city in a unique way — like a local. Looking for a respite from the bustle of the city? Slow way down in the country with a family vacation on a real working farm. The benefits are enormous, from eating farm-fresh cooking to teaching your kids where their food comes from (before it lands on grocery shelves). And if your kiddos love animals, they’ll truly enjoy hands-on activities like feeding llamas and pigs or milking goats. 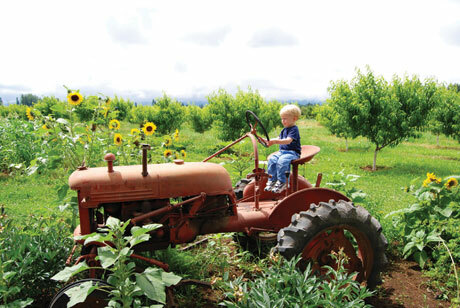 The prevalence of farm stay options is growing in the Pacific Northwest as the concept of “agritourism” expands beyond wine tasting and berry picking. To locate a farm stay, visit Farm Stay U.S., a website that farms advertise on. You can search for options that can accommodate children younger than age 12. Also try World Wide Opportunities on Organic Farms. Stays range from working ranches to fruit orchards and grape vineyards. For immersion in the world of cattle herding (lasso optional), try the 9,000-acre Wilson Ranches Retreat near Fossil, Oregon ($79–$179; ranch-style guest rooms sleep two to six; includes breakfast). If a quiet retreat among sheep is your speed, escape to Leaping Lamb Farm in the Oregon Coast Range, where the whole family can assist in animal feedings and egg collection, among other farming chores ($150–$250; cabin sleeps six; includes breakfast). For scenic horseback rides, check out Turtlehead Farm on Orcas Island, Washington ($160–$225; cabin has equipped kitchen for meals). And for a quick farm-fresh getaway from Seattle, go only as far as the Skagit Valley to Hoehn Bend Farm to pick from the vegetable garden and feed the pigs and chickens ($150 for the whole farm cottage, which has equipped kitchen for meals). The idea is simple: Connect with another family and agree to swap houses for a week. Imagine — while your Seattle bungalow hosts a family from the Willamette Valley, you settle into their wine-country ranch house. Neither family pays a cent, you’ve got an equipped kitchen to cook in, and you get to experience a new city or small town just like a local. Some families even swap cars and pet-care duties along with the houses. Of course, to make this option work, you’ll need to be comfortable with a stranger staying in your home, though by the time the exchange takes place you’ll have communicated enough that the other family won’t feel like strangers anymore. For more options, and a bit more security and logistical support, try a reputable home exchange club such as Digsville, HomeLink or Home­Exchange (the latter two are great resources for international swaps). Potential swappers join these clubs by paying an annual fee, usually less than $100, which provides a barrier to scammers. While that fee won’t get you a background check, the companies do keep member credit cards on file. Once you’ve connected with a potential home swap partner, don’t be shy. As you prepare for the swap, close communication will help ensure expectations are met, unexpected scenarios are prepared for and details are ironed out. You’ll want to double-check everything from the location of the house key to the Internet password. Many hosts like to leave their guests a list of favorite nearby restaurants or grocery stores, or a recommendation for a local pediatrician. Your guest family might appreciate directions to a local park or playground. 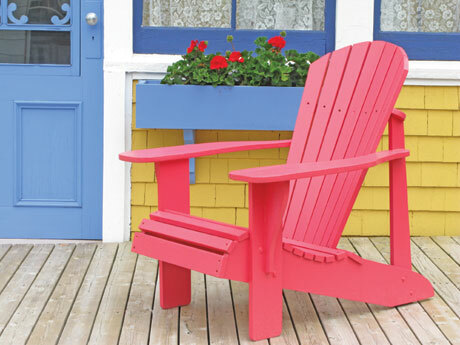 In the end, all this preparation pays off as you happily enjoy your summer vacation like a local — for free. If your picture of a typical bed-and-breakfast is fragile antiques, knickknacks and lace curtains, you’re not likely to book one for your family vacation — and neither would I. While this perception describes some B&Bs, these days many have banished all doilies from sight. And although some B&Bs cater to couples only, many allow children and may have amenities such as cribs, a yard to play in, kid-friendly breakfasts and high chairs. We love to stay in B&Bs, too, and our family has enjoyed a number of kid-friendly B&Bs in the Pacific Northwest since our son was born. Check out The Mill Inn in Bend, Oregon, for suite-size rooms within walking distance to shopping and restaurants. The Tree Frog Night Inn is set in the countryside outside of Bellingham, Washington, and has spacious rooms that sleep four. In Oregon’s southern Willamette Valley, the Apple Inn Bed & Breakfast in Cottage Grove offers a tranquil, rural experience and hosts a suite that sleeps four. 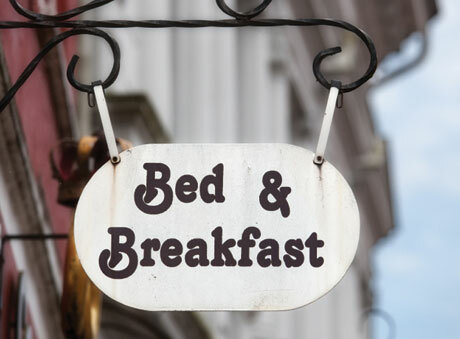 To find out if a bed-and-breakfast accepts children, start with the B&B’s website. If it doesn’t indicate whether children are accommodated, call and ask. You can also search kid-friendly bed-and-breakfasts. Help your child’s curiosity about nature bloom by placing your vacation in the hands of expert nature guides. 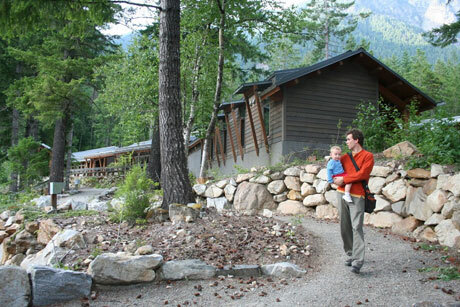 In Washington, both the North Cascades Institute and the Olympic Park Institute (NatureBridge) offer enriching family nature programs that range from an overnight to a weeklong stay. North Cascades Institute (NCI) hosts “Base Camp,” an opportunity to stay at the gorgeous NCI Learning Center on Lake Diablo in the heart of the North Cascades. We took our son to experience Base Camp for three days when he was a toddler. Flexibility is key at this age, and we were able to attend customized guided nature walks and accommodate his nap schedule at the same time. Attendees dabble in guided learning adventures offered three times a day, from hiking to canoeing to arts and crafts. Base Campers are invited to sit around the campfire after dinner for local native storytelling. The cost is about $200 a night for a family of four, and includes the guided programs, comfortable lodging (in one room) and all meals. Lauren Braden is a travel writer based in Seattle. Read about her family’s adven­tures and more local travel tips at Northwest TripFinder, nwtripfinder.